Chattanooga, Tennessee is predicting it will offer FTTH in its entire service area by next year. The public power company has used fiber-optics in the past to manage its electrical operations and has been planning to offer a full FTTH network for awhile. "There are two primary components to building this system. One component is taking longer than we thought and the other is happening much faster than we anticipated", said Harold DePriest, President and CEO. "The end result is that services will be available to the entire cities of Chattanooga, East Ridge and Red Bank by summer of 2010." 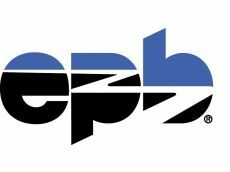 DePriest says once in place, EPB's fiber optic network will be the largest of its kind in the country. However, Chattanooga has suffered the same problem that has plagued other publicly owned broadband projects around the country: incumbent telco and cableco lawyers. Comcast has sued Chattanooga in multiple courts in an attempt to limit competition (see here, here, here, and here for a few examples). As with these cases across the country (from Monticello, MN to Bristol, VA, to Lafayette, LA), the incumbents have lost the cases but successfully slowed the build-out, which hurts the community while padding company profits for an extra couple of years. The network will offer symmetrical speeds of 10-50Mbps while keeping costs lower than the standard prices in the market.